I know, I know. I'm the guy who is always talking (some would say blabbering) about originality. I can't even count how many times I have written the sentence "Keep it original." But, every now and then something comes along that makes even me think, "Yeah, that's cool." This is one of those cars. There's nothing wrong with a 525iT or a 530iT. They are both great cars. 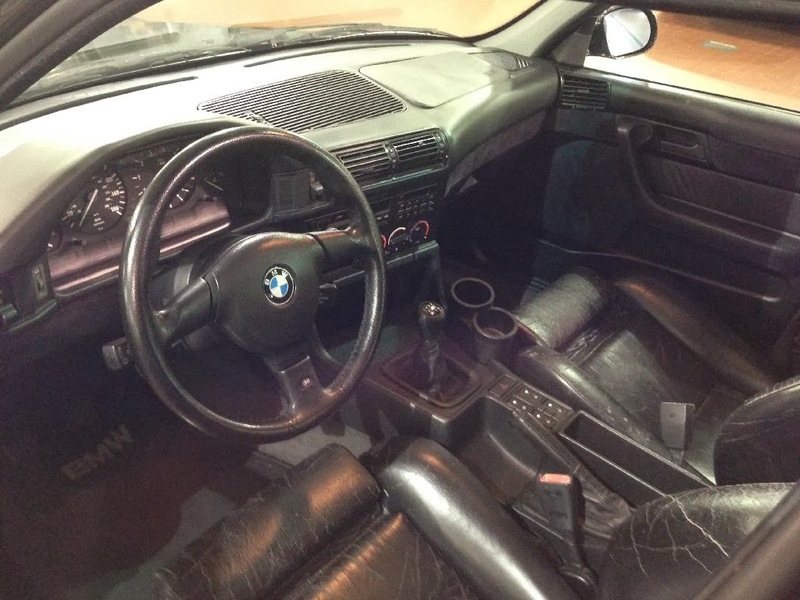 The E34 5 Series cars are fun to drive, well built and extremely reliable. Even though the newest one is now almost 20 years old, you could confidently drive one everyday. 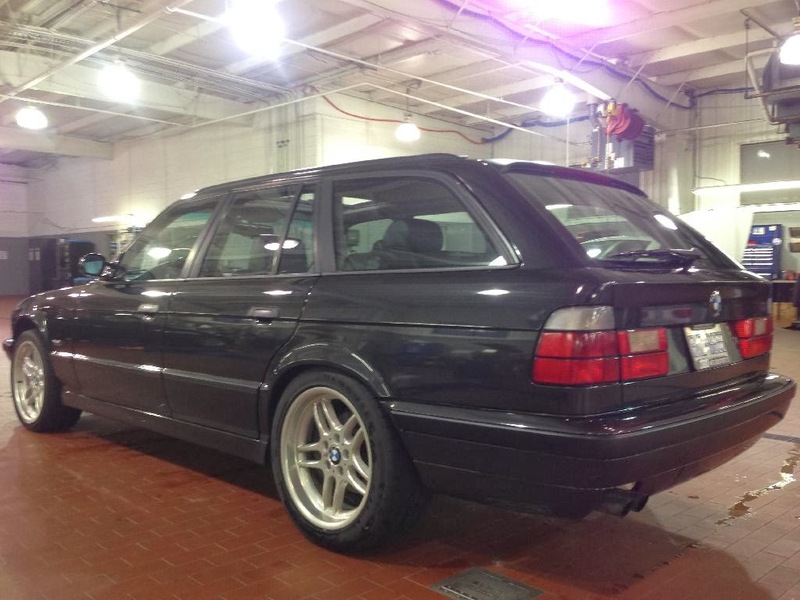 There have been a few 540iTs privately imported over the years (like this one), but importing a car that is less than 25 years old into the US is a tricky business. You're (usually) buying it sight unseen, and federalizing it is expensive and time consuming. Someone circumvented all that by building this car. 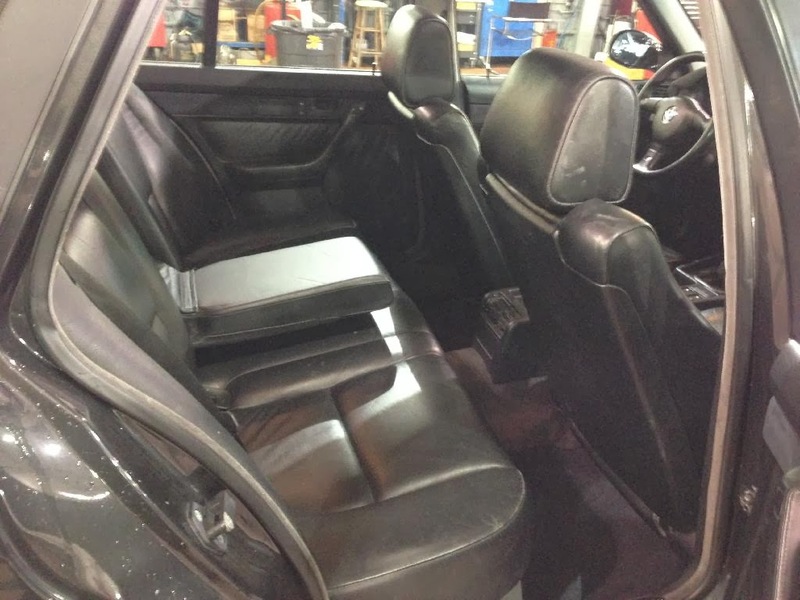 This car started out as a 525iT. 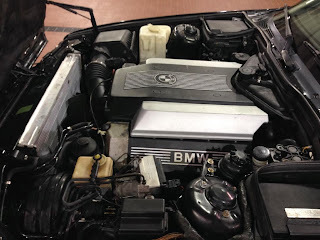 The inline 6 was removed and replaced with a V8 out of a 540i sedan. A 6 speed manual transmission was also installed. According to the seller, the front and rear subframes, differential, brakes and suspension from the 540i are now in this wagon. The seller says everything works as it should. This list of other upgraded or replaced items is impressive. The car is not perfect, but pretty damn good. The seller says it throws an ABS code from time to time, which he attributes to mis-matched tires. It may soon need an O2 sensor and struts. The odometer shows 141,000 miles, but the seller does not mention how much mileage is on the drive train. 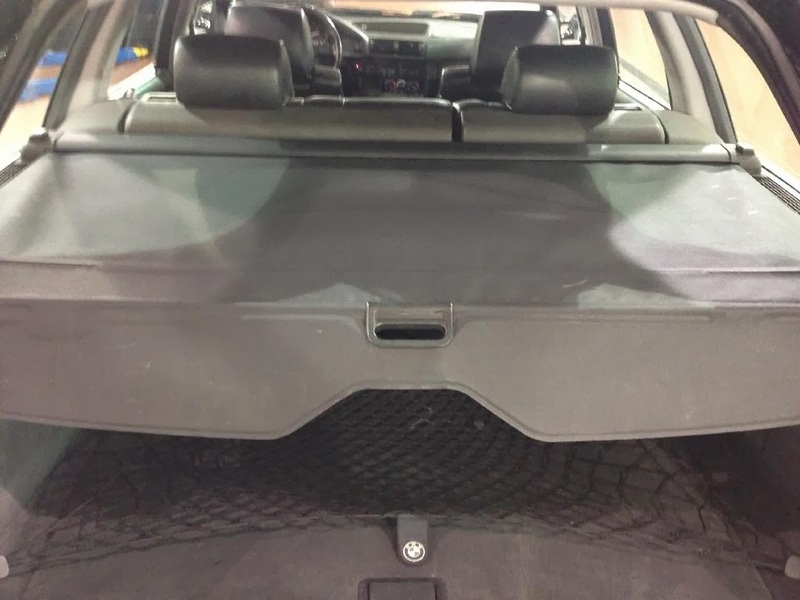 The body is basically stock and the seller says it's a 7 on a scale of 10. 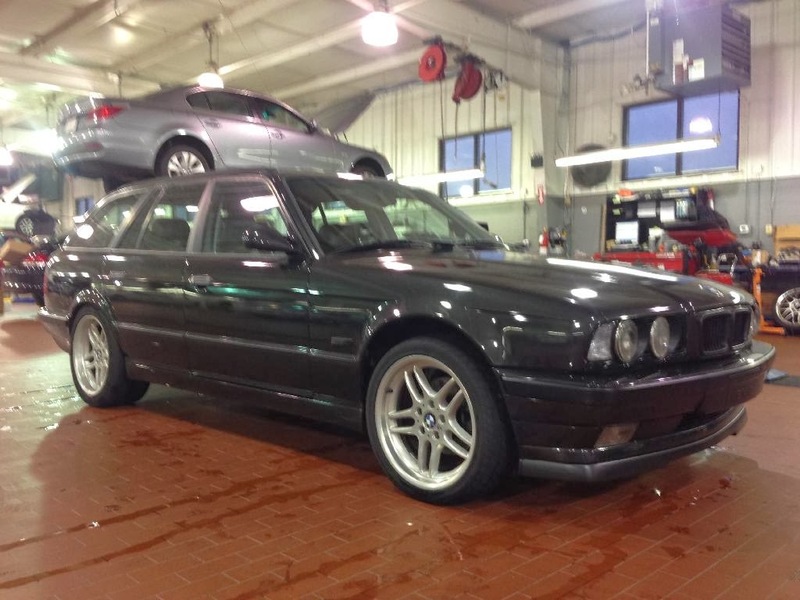 It has a Rieger front spoiler, M5 mirrors and a few other very tasteful modifications. Inside, the front seats are tired, but the rest of the interior looks great. Located in Raleigh, NC, click here to see the Craigslist ad. For more pictures, click here to see the seller's Photobucket album. I saw this link on my friend John's Facebook page yesterday. I stole it from him. Thanks, John! Why in the world does someone go through all the trouble to make such a near-perfect drivetrain swap, and then put it on mis-matched tires??? It defies explanation. Miss matched tires due to V8's power and burnouts is my guess.